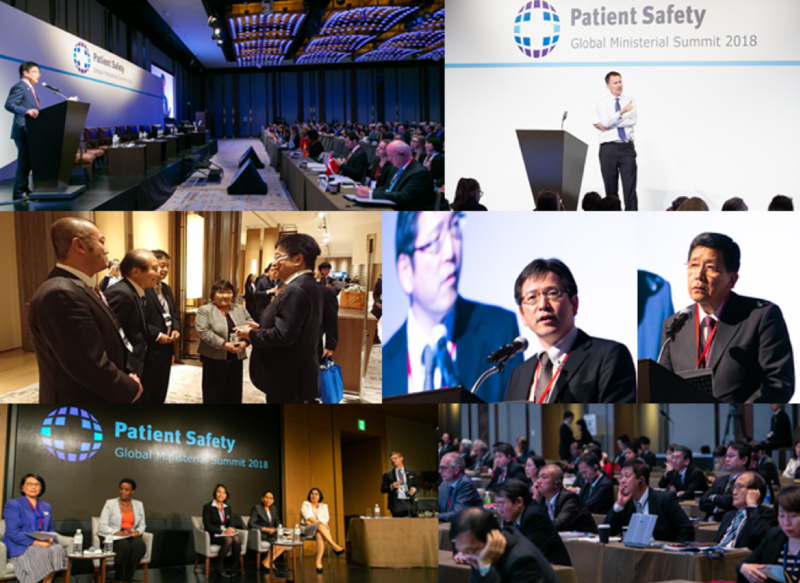 The Ministry of Health, Labour and Welfare, Japan hosted the third annual Global Ministerial Summit on Patient Safety on the 13th (Friday) and 14th (Saturday) of April 2018, at the Grand Hyatt, Tokyo. The UK and German governments initiated the series of Global Ministerial Summit on Patient Safety. They successfully hosted the first two Summits respectively in London (2016) and Bonn (2017) in order to inform world leaders about the importance of addressing patient safety and galvanize action in this area. This year, the Japanese Government organized the third Summit in Tokyo, with Japan being the first host country in Asia. It was very successful Summit with numerous participants. There were approximately 500 participants with national delegations from 44 countries, including 18 Ministers/ Vice-ministers, delegates from international organizations, patient safety experts and other stakeholders. Reflecting upon the recommendation at the second Summit in Bonn, that these Summits should be held regularly on an annual basis, Saudi Arabia was selected as the host country for the fourth Summit in 2019. Through the Summit series, the global patient safety movement is expected to spread to all the countries of the world regardless of their region or income level. On the first day, domestic and international experts gathered at the Summit venue. 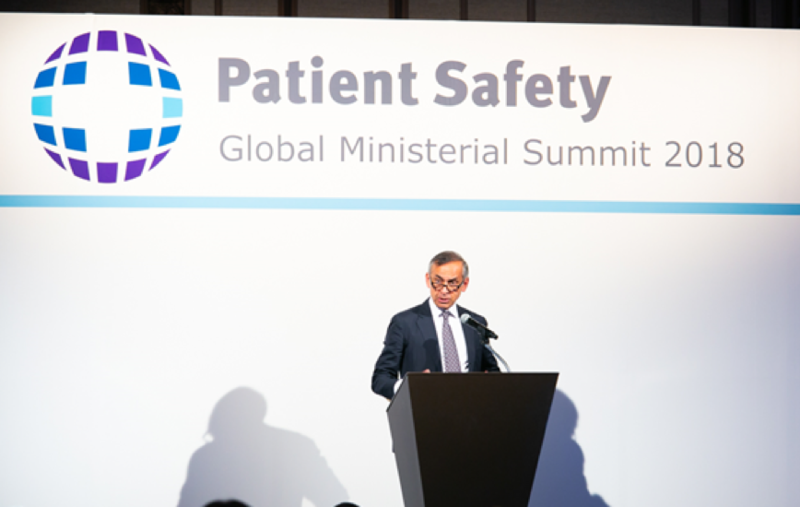 The history of patient safety and the Summits were included in a speech by Lord Darzi of Denham who led on organizing the first Summit in London. Japan was introduced as the first country in the world to adopt a centralized patient safety program. Lord Darzi also said that, historically, Japan has worked to deliver 窶徭afety" initiatives, including staff safety during its industrial growth period at the beginning of the Meiji Restoration, which began in the second half of 19th century. 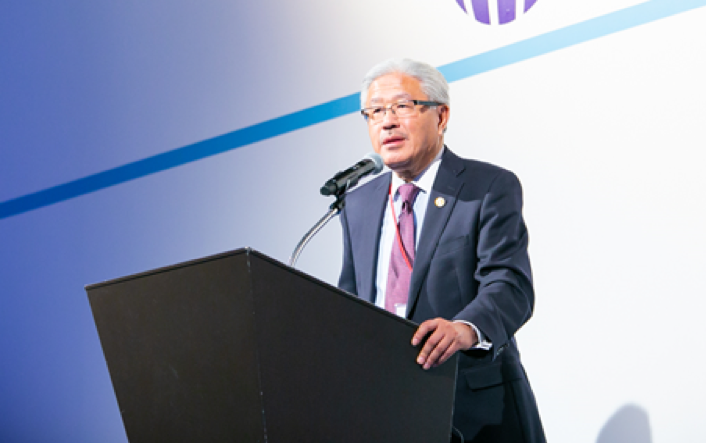 During the keynote lecture, Dr. Victor Dzau, President of the National Academy of Medicine (USA), explained the relationship between patient safety and universal health coverage (UHC), within the context of the Sustainable Development Goals (SDGs) set by the United Nations. He emphasized that building an evidence-based patient safety system and its implementation are indispensable for achieving UHC on a sustainable basis. He also highlighted that the economic burden of preventable adverse events is especially heavy in low- and middle- income countries (LMICs), exceeding that of malaria, HIV and tuberculosis. As such, Dr. Dzau said that it is necessary to strengthen patient safety and quality of care in LMICs and to make patient safety one of the essential standards of every healthcare system in the world. During the panel discussion sessions, academic knowledge and experiences of experts from multiple fields were shared. A wide range of topics were discussed in each of the five panel sessions covering 窶弃atient Safety Culture窶�, 窶弃atient Safety in Ageing Society窶�, 窶弃atient Safety Needs for Achieving Universal Health Coverage in Low- and Middle- Income Countries(LMICs)窶�, 窶廬nformation and Communication Technology (ICT) in Patient Safety窶�, and 窶廢conomics on Patient Safety窶�. Active and productive discussions took place in each session, and at the end of the panel discussion sessions, 窶彡ore political messages窶� were prepared in order to present them to world leaders at the Ministerial meeting on the second day of the Summit. Following the panel discussion sessions, patient safety initiatives originating from Japan were presented in the plenary session including the 窶弃roject to Collect Medical Near-miss/ Adverse event Information窶�, 窶弋he Japan Obstetric Compensation system for Cerebral Palsy窶� and 窶廴edical Accident Investigation System窶�. Many of the participants expressed a strong interest in these initiatives. Ministers/ Vice ministers, delegations of each country and international organizations participated in the second day of the Summit. Following the opening statement from Minister Katsunobu Kato, the 窶彡ore political messages窶� arising from the panel discussions and the outcomes of those discussions were presented by the chairs of each panel sessions. During the keynote lecture, statements were delivered respectively by Jeremy Hunt, Secretary of State for Health and Social Care in England, the head of delegation from Germany, and Minister Al Sa窶册di from Oman on the following two themes, 窶廨lobal Action on Patient Safety窶� and the 窶廬mportance of patient safety while advancing towards UHC窶�. At the beginning of the roundtable session, Minister Kato shared an example of how patient's bereaved family members are involved in policy making process and showed appreciations for their contribution to patient safety. He appealed strongly for greater widespread involvement of patients and patients' families in order to promote advocacy for patient safety. Apart from these topics, several countries emphasized the importance of cooperation with the World Health Organization and other related international organizations. Many countries also emphasized the need for collaboration among countries to ensure that the global patient safety movement to be extended across the whole world. 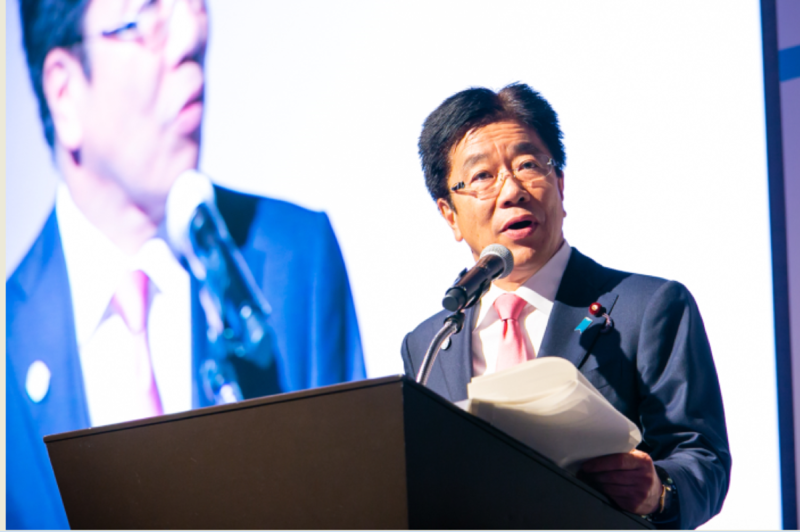 At the end of the roundtable session, Minister Kato announced the 窶�Tokyo Declaration on Patient Safety窶� as the outcome of 20 years of history on tackling patient safety and three consecutive Global Ministerial Summit on Patient Safety. The declaration encompasses the vision and leadership of countries to build political sponsorship and momentum at the highest levels of government for addressing patient safety challenges globally as well as locally. The declaration reaffirms the commitment to improving patient safety in order to reduce all avoidable harm and the risk of harm to all patients and people during their interaction with health care systems, whoever they are, wherever they live, by 2030. It also emphasizes the importance of patient窶� involvement in policy development on patient safety, as well as the need for the workforce in healthcare to have the appropriate labour environment in order to help make healthcare safe. The ambition behind the declaration is that systems to reduce adverse events and risks will be designed more effectively, and a patient safety culture will be developed and implemented in each country across the world. The "Tokyo Declaration", endorsed by the majority of participating countries, will serve as the engine to facilitate patient safety as an integral element towards the achievement of UHC, and promote and support "Global action on patient safety" through cooperation among all countries, including low- and middle- income countries. Copyright MPatient Safety Global Ministerial Summit 2018. All rights reserved.